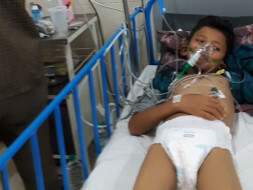 Help Needed For Kidny Transplant For 8yr old Vedant. I am Mohan Jadhav and I am raising funds for my sisters 8 year old son vedant sandip sakhale, whose both the kidneys are damaged. Due to kidney failure he is under dialysis and doctors have suggested for kidney transplant on an urgent basis. He has been hospitalized for around 20 days now and it is very difficult to see him in pain. His mother has agreed to give one of her kidney to him. He is receiving treatment at Jaslok hospital in Mumbai. The treatment is costing us Rs.17,00,000/- and we need funds to continue his treatment. 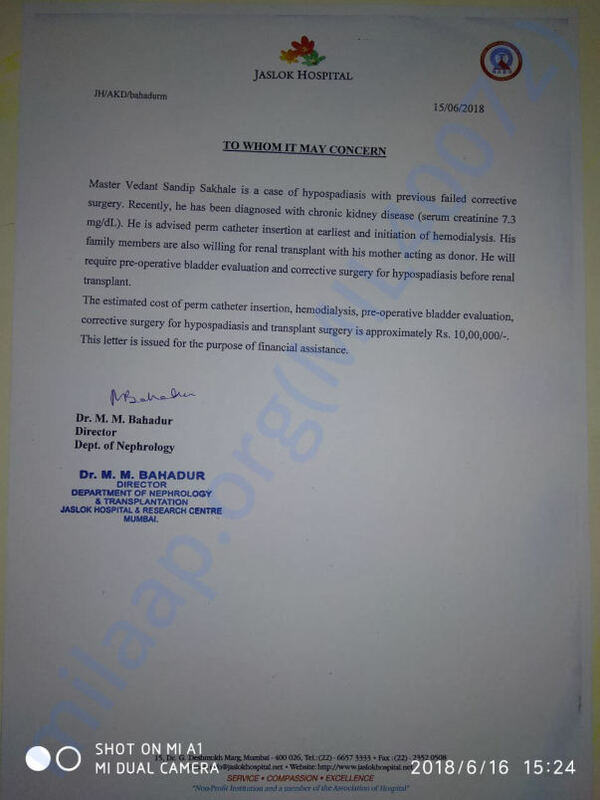 We are unable to pay the required amount as his father is a peon at Hansraj Morarji public school, Andheri and his mother is a housewife and they have exhausted all their savings in his treatment so far. It’s been a tough time for them to manage funds for his treatment and they have already spent everything they had.